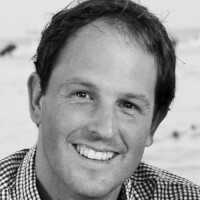 Alex Lamb is Managing Director at Commonwealth Impact Partners. Throughout his professional career, Mr. Lamb has focused on the integration of Environmental, Social, and Governance (ESG) impact considerations into business value creation and risk mitigation. At Ernst & Young LLP, and previously as Vice President for North America at Trucost, he worked with corporate and investor clients on the integration of environmental and social factors into core strategy across their operations, value chain, and portfolios though sustainability benchmarking, materiality assessment, reporting, and engagement, as well as the integration of ESG into private equity strategies and due diligence. Previously, he was a corporate sustainability analyst at KLD Research & Analytics. While at KLD, he partnered with Newsweek magazine on the design, methodology, and management of the inaugural Newsweek Green Rankings. In 2009, Mr. Lamb co-founded the Boston Area Sustainable Investment Consortium (BASIC).